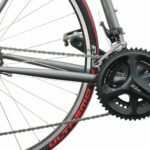 Many travel and light-touring bikes are currently built with STI road shifters, double cranksets and road bike drivetrains, limited by their standard road components which only offer moderately-low gear ratios. Compact cranksets and wide-range road cassettes are starting to offer relatively good climbing gears – up to 32 tooth on the rear cassette – but in many cases that simply isn’t enough. Mountain bike gear systems on the other hand offer lots of low gearing, in fact, right up to 42 tooth on the rear cassette. This is because mountain bike gear systems employ a long derailleur cage to accommodate such a large range. Unfortunately, modern road and MTB groupset parts are largely not interchangeable because they all use different cable pull ratios to work the gears. But what if there was a really simple solution that could combine road shifters and mountain bike derailleurs? 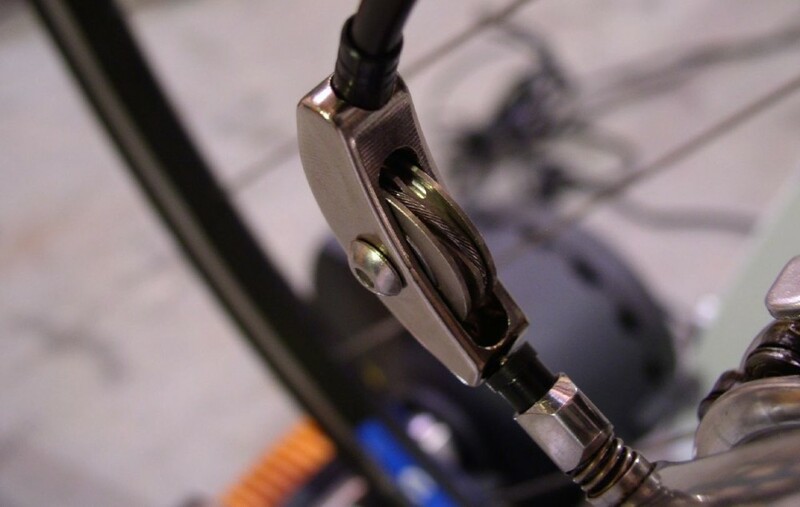 The ShiftMate is a ratio-changing pulley which is used for matching different shifters and derailleurs such as Campagnolo, SRAM and Shimano. The Shiftmate adapts different brands and models to offer the proper cable pull required for perfect shifting. That makes it a really useful product which will match up road shifters with mountain bike derailleurs. No longer is a 34 x 32 tooth ratio the smallest available (29 gear inches with 38c tyre); it’s 34 x 42 tooth (22 gear inches with 38c tyre). That’s the difference between walking and riding up a steep hill! 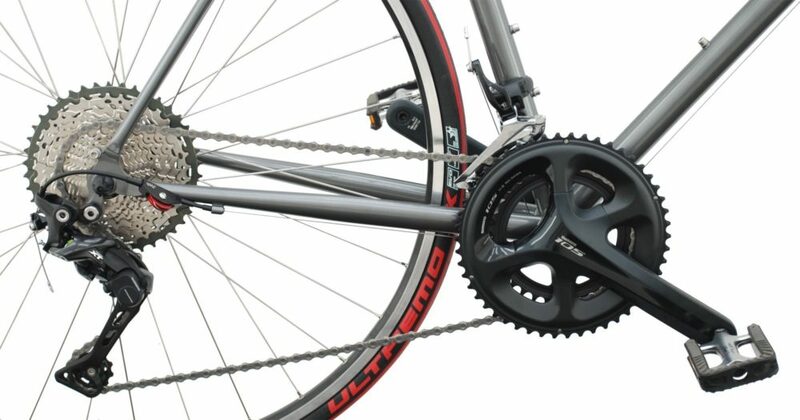 In order to make this upgrade, you will need to take off your existing chain, cassette and rear derailleur, install the appropriate Shiftmate and mount up the new mountain bike chain, cassette and derailleur. This Thorn road bike is using the Shiftmate 8 to run a Shimano XT derailleur and cassette with a Shimano 105 shifter. There are multiple Shiftmate products available, all with a slightly different function. You can find out the full list of compatibilities on this page HERE. Don’t forget to check out my Complete Guide to Road Shifter and Gear Hacks to Achieve Low Climbing Gears. Alee is a bike and travel addict who has cycled through 80+ countries and doesn't really have any plans of stopping. Along the way, he creates technical resources, in-depth reviews, inspirational videos, how-to guides and more. If you've learned something from him, you can support his mission to create the best bike travel content HERE. Enjoy These Free Resources? Find Them Useful? Designing The Ultimate Touring & Bikepacking Handlebars, the KOGA Denham Bars! One More Year, Please: I'm Extending My Bike Ride From Argentina to Alaska! Hi! I'm here to help you travel the world by bicycle. I can assist you with all kinds of resources, advice and inspiration! If you've learned a thing or two from me, consider supporting my independent resources HERE. © CyclingAbout. All rights reserved.